Three tunnels, three musical genres, and 12,422 thousand people running to the beats of the top DJs in the metro– last October 26, at the Mall of Asia grounds Rexona brought the music powered run to the next level in Run To Your Beat 2. 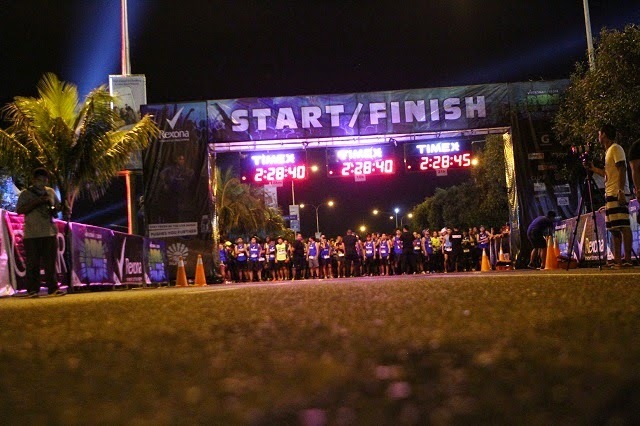 Collaborating with Universe and the top DJs in the Philippines, from the first gun start at 3:00 AM to the finale runners hit the pavement entertained by visual and auditory experiences, and music zones that featured live DJ performances, lights, and three themed tunnels. Deuce Manila kicked off all categories at the gun start. 5k and 10k runners went through the Retro and Hip Hop tunnels with DJ Euric and Motherbasss accompanied by MC Pao respectively. The tunnels featured roller bladders, disco balls, street art and laser lights. 21k runners experienced all three tunnels, which included the EDM tunnel with Martin Pulgar. At the end of the race all runners were treated to a party ending DJ due set by Ace Ramos and Mars Miranda, and a jumping performance by Sponge Cola. RiCo Corn Rice Makes Healthy, Yummy!